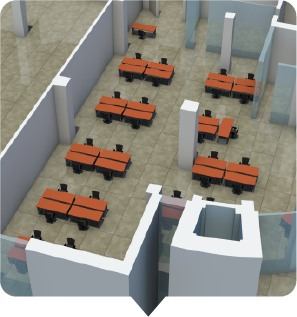 3D maps transform any building or venue into an immersive environment. With an indoor map from WRLD, you can easily visualize any building in 3D to optimize building management, resources, and planning. 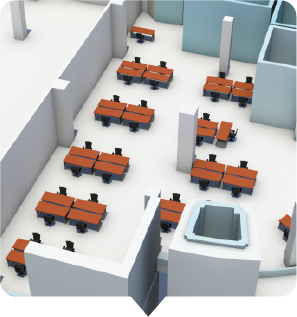 Create engaging and smart building solutions with accurate indoor 3D maps for mobile, web, VR, and AR applications. Customize maps based on users’ specific needs, data, and access levels (display different information for different types of users). Integrate with IoT data for next-level employee and visitor engagement. Visualize and locate people, places and assets when needed. Allow employees to quickly find and book available rooms. Customize your map to suit different types of user - from office staff to maintenance workers. Help students and visitors easily find their way around. Quickly update maps to reflect events and structural changes. Easily track and monitor maintenance efficiency across large campuses. Provide customers with a more immersive shopping experience. Represent key spaces with custom POIs (Points of Interest). Integrate with IoT (Internet of Things) sensors to get a more complete picture of your store's operation. Keep maps up to date with specific information and venue alterations. Allow visitors to visualize the event space and plan their attendance before arrival. Offer real-time content via your map to keep attendees informed on what's going on. 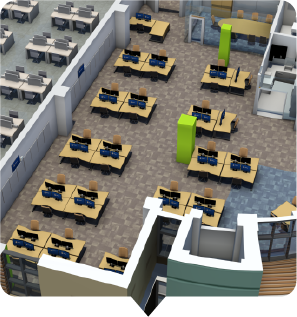 You can create and customize your own 3D Indoor Map using the WRLD Map Design tools. Don't have the skills or resources to create an indoor map, or want something a little bit more intricate? Why not let WRLD do the work for you and create your building's Digital Twin? 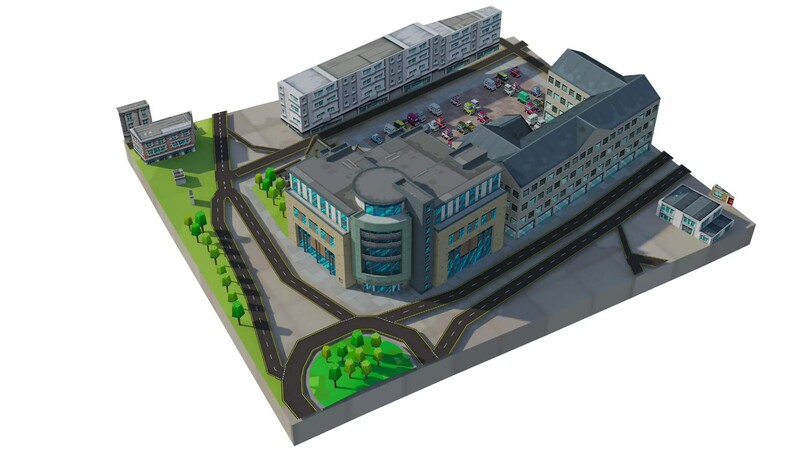 Get an exterior model of your building that is recognizable, branded, and uniquely yours in WRLD. Choose from a custom exterior, interior or both. Select from 3 interior fidelity levels to suit your needs and your budget. Manage your own map content using the self-serve Map Design Tools. How much do WRLD Building Services cost?